Total annual transactions in Billion Rupees ($1 is about 65 Indian Rupees, Sep 2017). 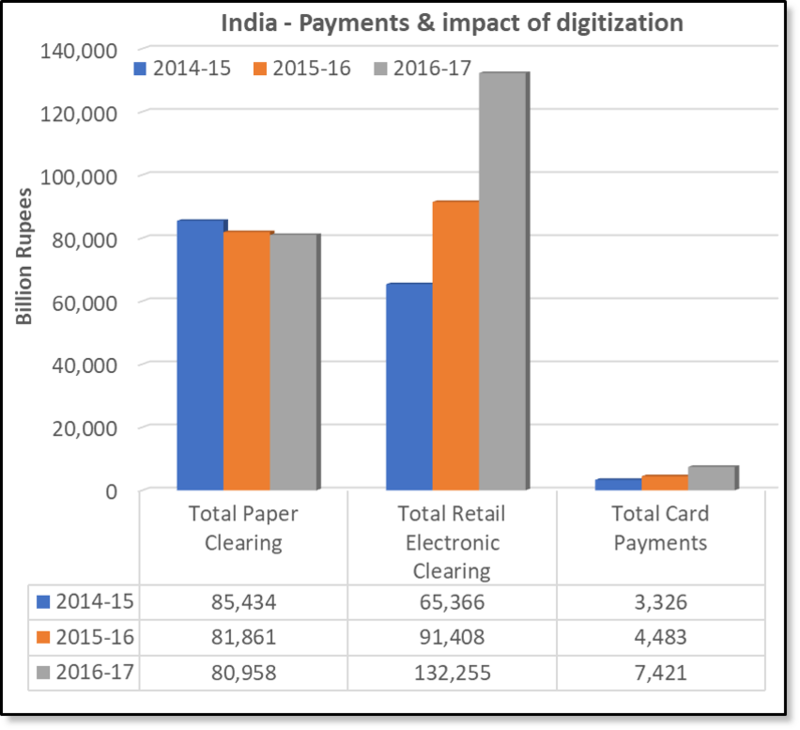 Despite continuous growth, the overall numbers for digital transactions remain pretty small. Looking at the total paper transactions from Reserve Bank of India’s annual report (page 154), there is a steady drop of about 5% over last two years. The retail electronic transitions have almost doubled in past two years suggesting businesses are more open to accept electronic payments. However, the credit card payments are still pretty low, almost 5% of all known retail transactions. For more details, see the long read article.